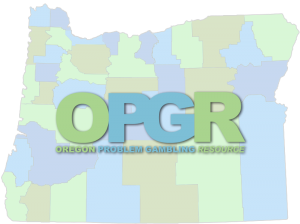 When a person calls the Oregon Problem Gambling Helpline (contracted through the Oregon Health Authority), the caller is informed that problem gambling treatment services in Oregon are at no cost to them or their families, and services are confidential. Counselors conduct brief assessments and then make referrals based on screening information, clinical judgment, and available resources. Referrals may be to a local gambling treatment agency, a home based invention program or a self-help program. With permission of the caller, helpline professionals also provide follow-up calls to check that the caller was able to access the referred resource and troubleshoot any problems that may have come up. The 24-hour helpline is staffed by professional certified problem gambling specialists, and includes phone, email and live chatting. The helpline provides referral pathways to publically funded programs. Although the helpline is the top source for accessing treatment, potential clients can connect directly with a local treatment agency for services. A self-help organization. Website provides a directory of meetings in the US as well as a list of hotlines. Blocks access to internet gambling sites. Helps people with gambling problems avoid the dangers of online gambling. The prices in US dollars range from $35.00-$70.00. Online international directory of meetings for those with gambling concerns and for spouses, family and friends of gamblers. A UK based registered charity providing counseling and advice both through their helpline and face to face and through an online forum. GamCare also provides education/awareness programs for young people. A UK based registered charity providing counseling and advice both through their helpline and face to face and throughan online forum. GamCare also provides education/awareness programs for young people.